Attention iOS device users: your lives are about to become easier with the update we’re announcing today! 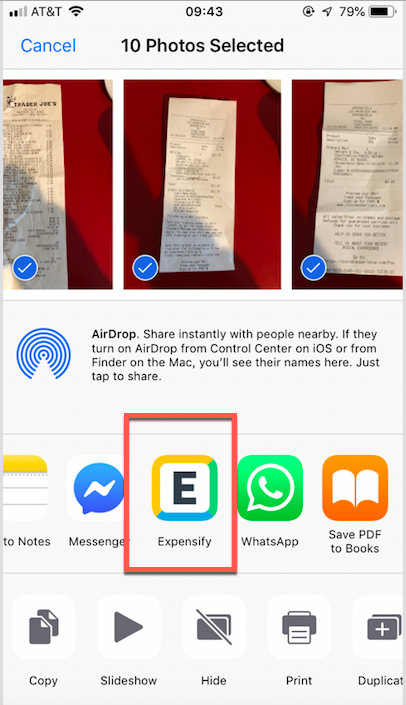 You can now share photos from Apple devices with Expensify in just a few clicks. Most of you might share your photos from your mobile via Instagram and other apps. 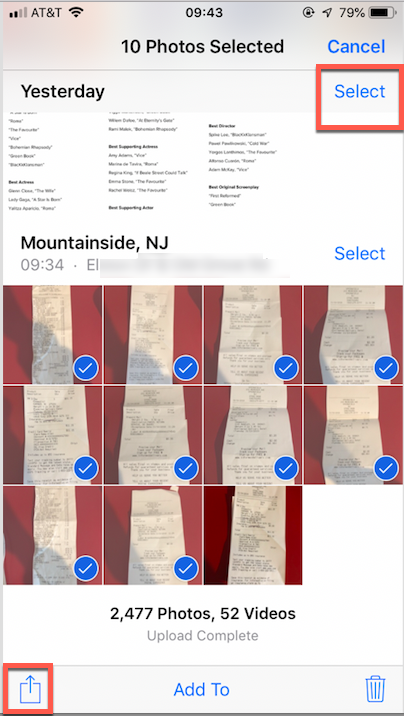 Now you’ll see the Expensify app listed as one of the options to share your photos (receipts) as well. I know, big news! Click on the upload icon on the lower left corner, and click on the Expensify app icon. This will take you to the mobile app and an expense will automatically be SmartScanned and created! Heads up: you can share up to 10 photos at a time. This new functionality also addresses user feedback, who wanted the ability to edit mages (cropping, flattening) before dropping them into Expensify. Android users, please note that this feature has already been available on Android for some time now so if you weren't aware, grab your phone and start taking advantage of this feature as well! Check out this help article for more information on how to send your receipts to Expensify! Can you add functionality like Scannable? Hey @Daveweez, thanks for sharing those ideas! We love your excitement for improving Expensify, never lose it! @Daveweez Always looking for more hey?